MTS India today announced the launch of mAd a innovative service that will offer free local calls by just watching a video ad. 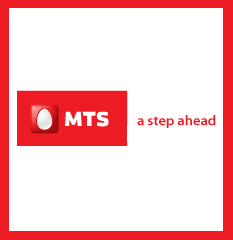 The launch of this service makes MTS the first telecom operator to offer this unique service on a pan India basis. MTS mAd service is available on all Android devices on the MTS network including MTS MTag 3.1, MTS MTag 351, MTS MTag 352, MTS MTag 353, MTS MTag 401, MTS Pulse, Samsung Galaxy Y and Samsung Galaxy Ace Duos CDMA. The Company is working to expand the scope of this service by also launching it on Blackberry and BREW enabled entry level MTS handsets. 1.Customers using Android devices on MTS network just need to send an SMS with keyword “FREE” on MTS toll free number 55559 or just call up MTS Customer Care (toll free). 2.Customers will get the MTS mAd Call application WAP link for download; Application needs to be installed on the Smartphone. 3.After installation, Demo video will start playing automatically demonstrating the entire process and benefits of service. 4.Now, whenever the Customer will make a call, an automatic pop up will ask the customer for a ‘Free Call’ or ‘Paid Call’. 5.In case of Selecting free call, seamless video ad will play for 20-30 seconds, post that the call will be connected. After completion, free 60 seconds of local calling will be credited to the customer’s account and the same will be confirmed via SMS. 6.The free credit would be paid by the advertisers. 7.In case a user has already used the daily Free call limit then ‘Free call pop up’ will not be displayed. MTS India mAd service requires no charges for activation, application download and for data transfer while watching video ads. The user will get a seamless experience with no buffering and video streaming hassle. Customers using this service will be able to make as many as 4 MTS mAd calls in a day. I was using Wifi, after switching over to MTS network, it worked. In T&C, it has been written that the mAd application will not work on wifi or any other network. I found that the application.s apk file downloald also requires MTS network.